Megan moved to Tower Hamlets from Newham after being homeless and spending several years in temporary accommodation. After getting in with the wrong crowd and having a tough time at school Megan went to college but ended up dropping out soon after she became pregnant with her young son. 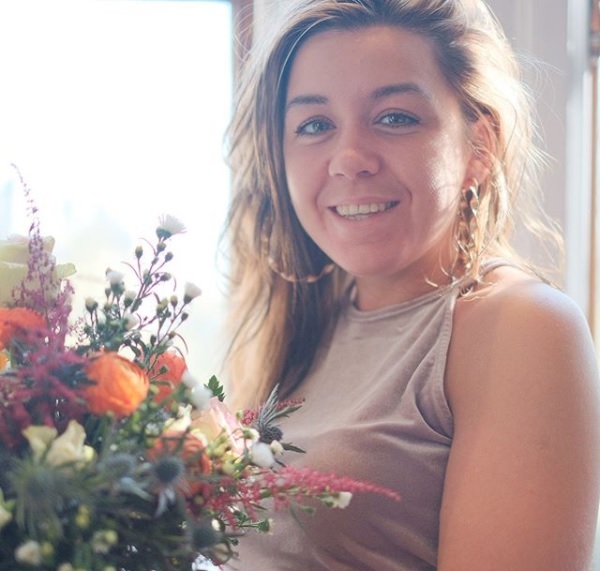 When her little one started primary school, Megan decided to follow up with her passion for floristry and with the support of Social Ark she created Megzi Pearls, a floristry service that supplies professional floristry services and runs community floral workshops. Megan uses her lived experience of struggling with depression, and overcoming addiction to help others from similar backgrounds. Megan’s workshops are regularly commissioned and she has worked with Poplar HARCA, Leaders In The Community, and the Bromley By Bow Centre; as well as mixed community and corporate sessions. The workshops really are inclusive, and often include a mix of people from all backgrounds, including corporate professionals, single mums, people struggling with addiction or depression and different cultural groups all come together having fun with flowers. Megan’s professional service has grown, and to her credit she is regularly commissioned for floristry services, and most recently was commissioned for a historic wedding in The Tower of London. She is also a valued member of our youth advisory board.